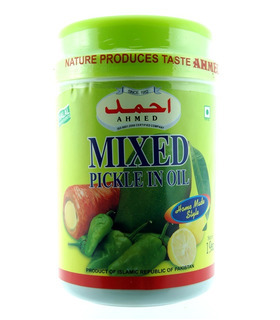 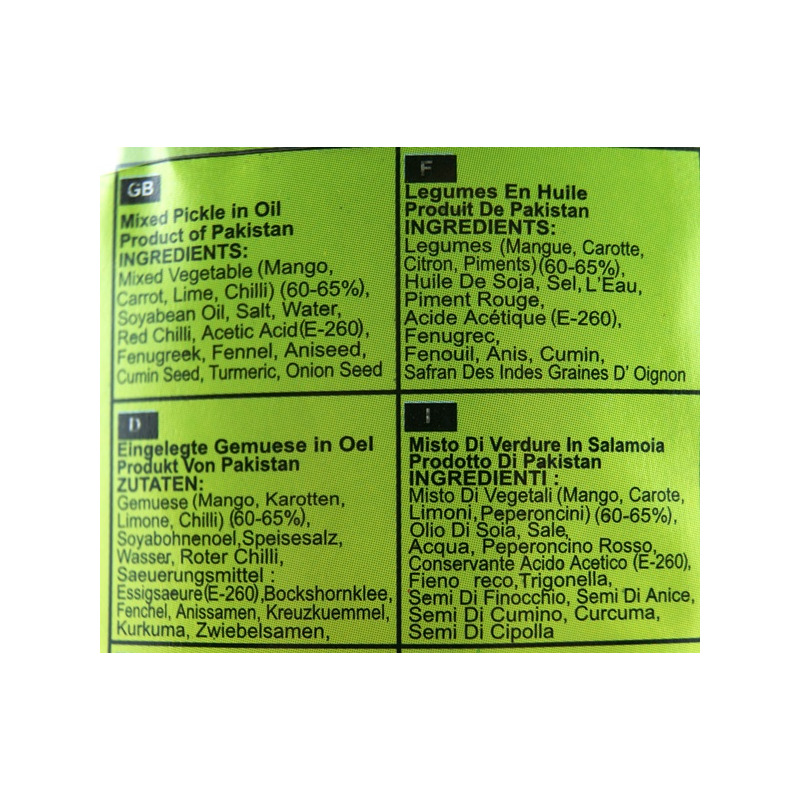 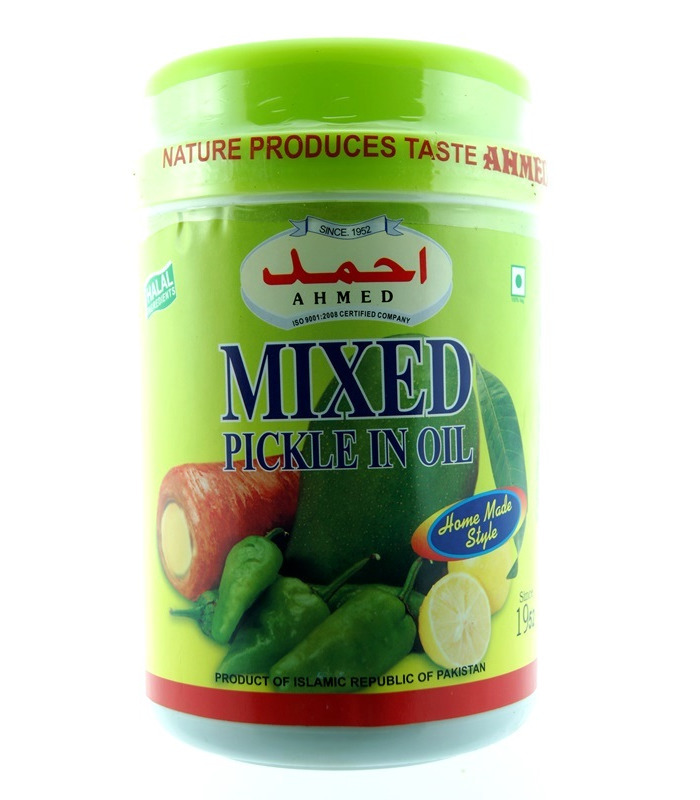 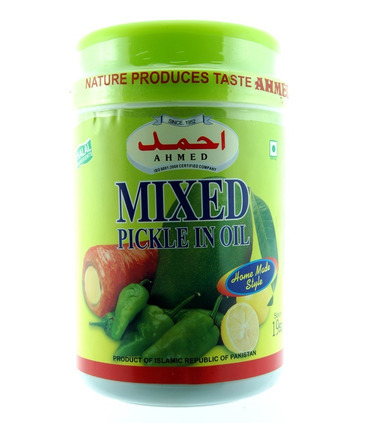 Ahmed Mixed pickle is a delicious mix of mango, lime, carrots and chillies that have been pickled with flavorful spices like aniseed, fenugreek and onion seeds. 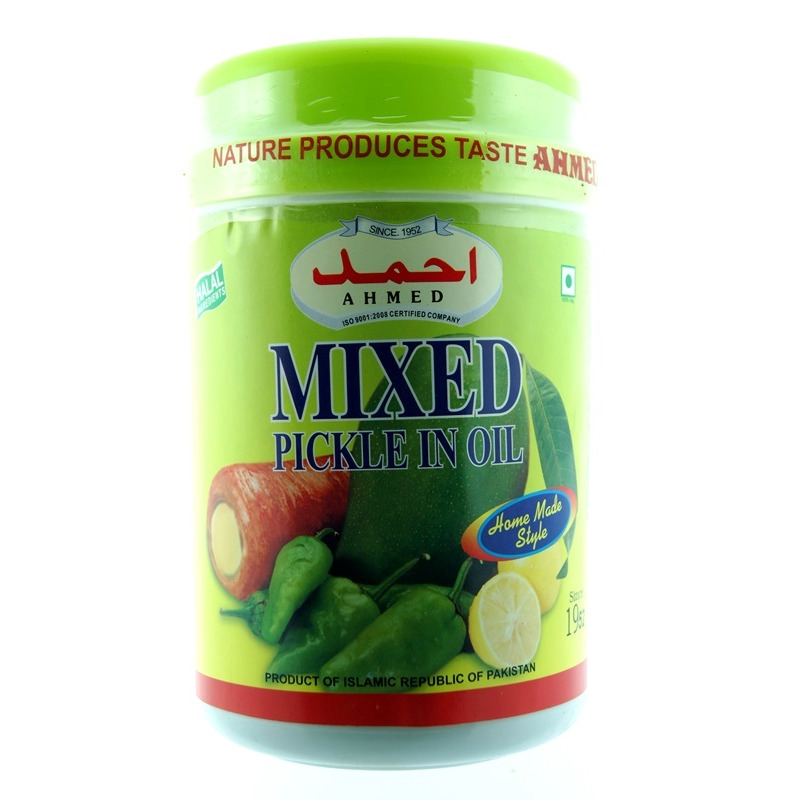 Every juice bite of this delicious pickle is truly delightful and the perfect accompaniment with rice, curries or parathas. 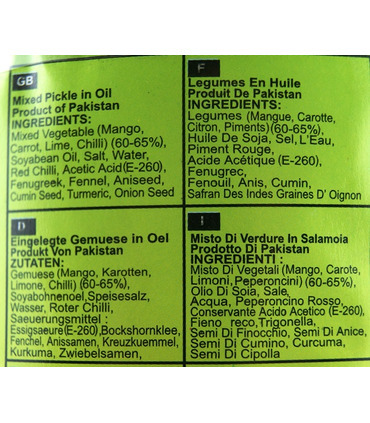 Mango, Carrot, Lime, Chilli, Soyabean Oil, Salt, Acetic Acid E260, Red Chilli, Fenugreek, Fennel, Aniseed, Cumin Seed, Turmeric, Onion Seeds.